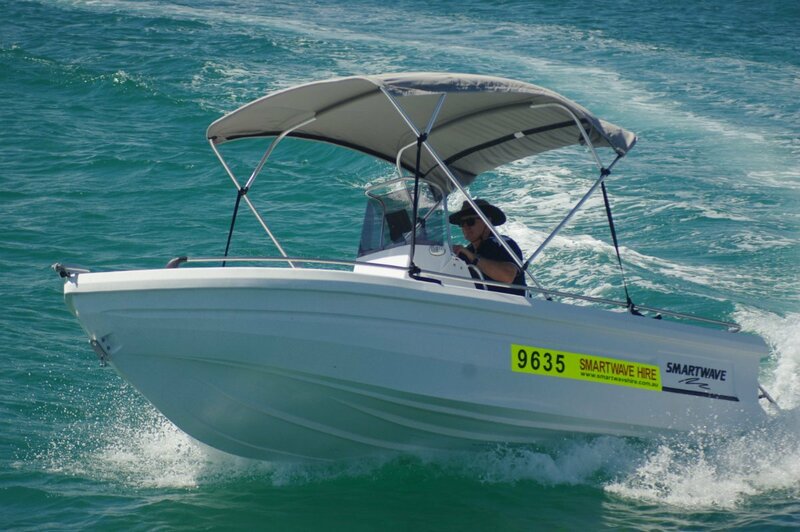 SmartWave Is a New Zealand manufacturer of moulded plastic boats, with emphasis on the smaller end of the market. The range of five hulls spans 2.4 metres to 4.8, with the larger models available in open, centre console and cuddy layouts. The hulls are in double skinned medium density polyethylene, with the cavity completely filled with foamed-in-place polyurethane. 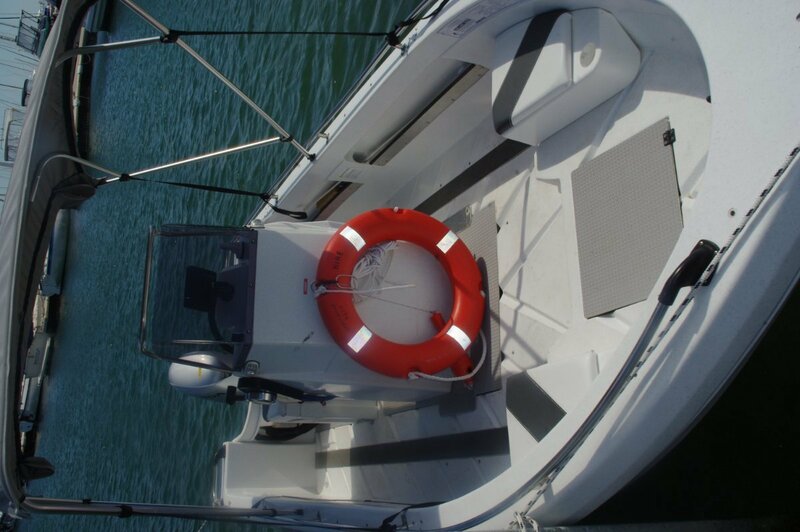 Since the cavity reaches right up to the gunwales this gives the boat upright flotation – one of the requirements for commercial use. With small additions, SmartWaves will fit all the survey criteria for hire and drive. The review boat, a 4800 centre console was fitted out for hire and so had these extras. SmartWave provided a set of photographs illustrating the tests the company carried out on sample hulls. These included a drop test from 10 metres with a load on board of 300kg without damage; cutting the hull in half leaving the stern half still floating upright and level with two on board; with 500kg at the rail the list is limited to 13 degrees. Hulls cut in half after being dropped by cranes are not on many people’s wish lists, but it’s nice to know you have a boat proven tough. The deck is a series of panels that can be hinged up. They reveal stowage or ice box opportunities and, aft of the console, the possibility of an installed fuel tank. The kit for this costs a noticeable $1,200, a figure to make you wonder if you really want one. 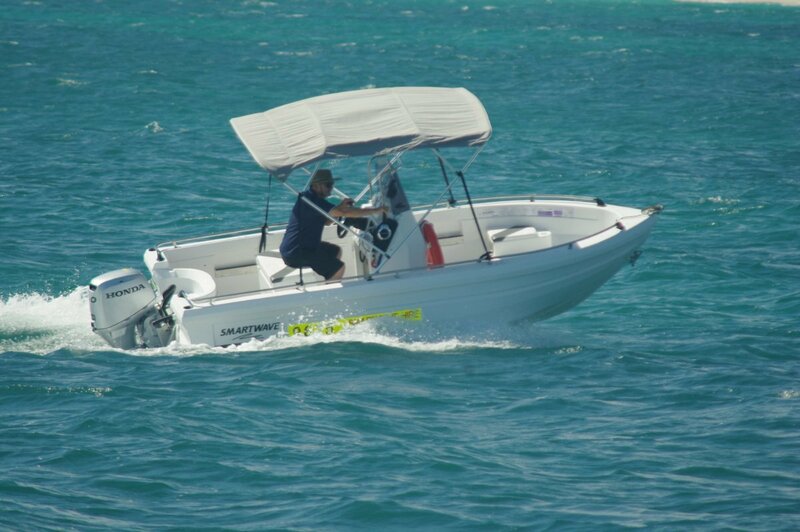 A portable tank allows easy periodic cleaning out, and with the economy of four stroke motors will outlast a long day of motoring. Just like the pieces of deck, the console too can be hinged up and removed. This means that if you initially buy an open version of the 4800 and later yearn for wheel steering, the Lego principle of the SmartWaves allows an easy conversion. The main seat, a tight double at the console, has an upholstered top with an insulated locker below it. In private ownership this is likely to become an icebox, but in hire boat format houses the life jackets. As in many other parts of the boat, our safety culture imposes labels to point this out. The console itself provides storage in a simple cave arrangement. The console is well placed for more than just steering. With one or two on board sitting on the ice/life jacket box the 4800 is well trimmed at all speeds. Two will probably be the usual number but, if the two basic seats forward are occupied as well, trim should sort itself out once planing. Those forward seats are on the casting platform, one of whose main purposes is to provide a cavernous anchor/cable locker below it. 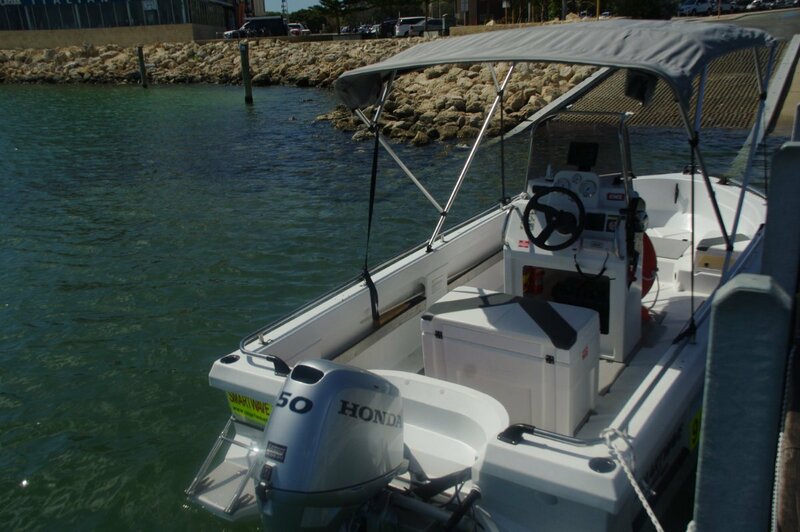 Hire customers will like the hydraulic steering, which is not an automatic fit with the chosen 50hp Honda – four-stroke of course – but improves any boating experience. It is also vastly more durable than the cable alternative, and boat hirers are becoming renowned for breaking anything easily damaged. The motor was mounted on a massive piece of aluminium engineering. If those strength factors are carried through to the rest of the hull the results of the crane dropping are understandable. Grab rails on the 480 normally are mounted at the bow and the quarters, but for survey they continue right around the boat. Running just a few centimetres above the gunwale they are at easy grabbing height without adding effective height to the bulwarks. Extra grabs are mounted on the console – the really important place for them. The Bimini, by most standards, is a shade on the ugly side. This was unavoidable in satisfying the customer’s requirement for maximum shade area. For the more style conscious customer a T-top is available. There was enough wind and sea to give the SmartWave a decent workout. We used all 50hp and still got an acceptable ride. As usual with a poly hull progress was almost silent and the impression was that we were travelling slower than we actually were. At rest we had reassuring quantities of stability. There is not a lot more you could ask of 4.8 metres of boat.